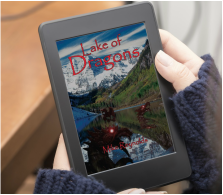 Lake of Dragons is a fast paced adventure fantasy packed with thrills and surprises that will keep you guessing until the end. Grab a firm hold of the reins before you open this book. Congrats to Arlene, Matthew, Bob, Tim, and Tracey!